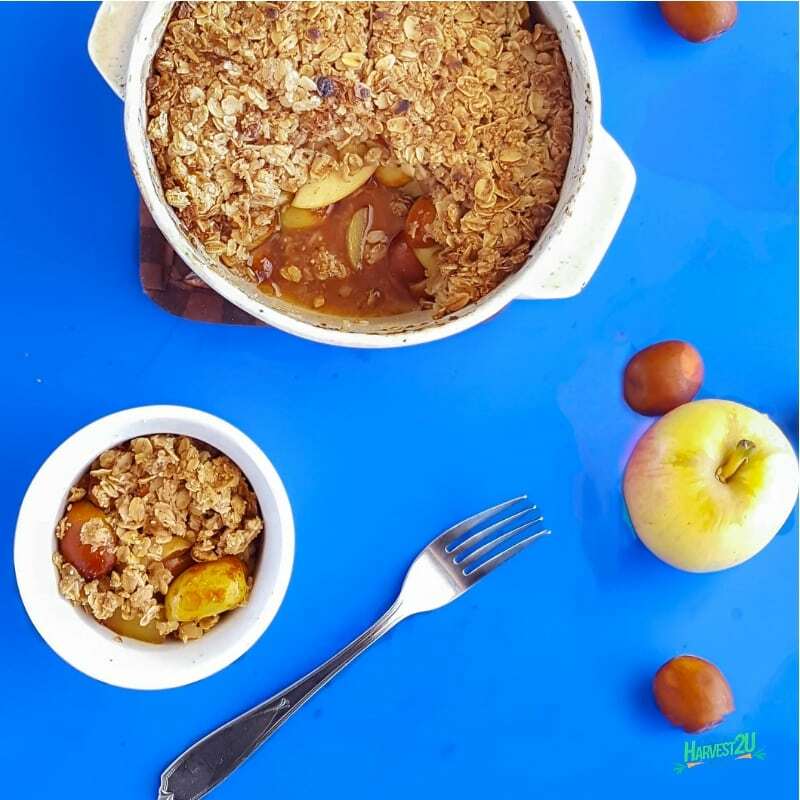 This Apple Jujube Crisp recipe is a simple no sugar added dessert that is perfect for the Fall season. It is delicious by itself or with frozen yogurt or ice cream. Jujubes, also known as Chinese red dates, Korean dates or Indian dates, are a beautiful fruit that is similar to apples when they are young and like dates when they ripen and become wrinkly. Jujubes have more vitamin C than citrus fruits and have a load of other nutrients to aide with stomach and intestinal illness and perhaps prevent cancer. This recipe is best with young jujubes. With more mature Jujubes I would recommend making these fantastic Spiced Jujubes. Remove the seeds from the jujubes. Seed and slice the apples. Combine in a small bowl with 2 tablespoons maple syrup and 1/2 teaspoon cinnamon. Pour into prepared baking dish. Combine topping ingredients and pack down on top of the fruit. Bake until topping is browned and fruit is soft.